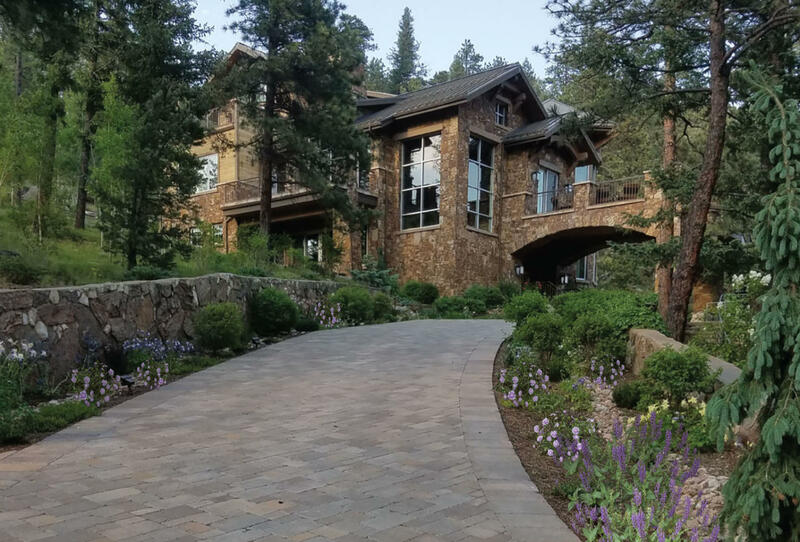 Stone Creek hardscapes & Design Denver CO Installing driveway pavers in Denver CO for over 25 years. 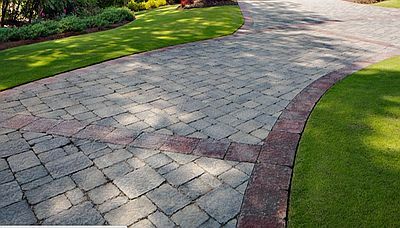 Great Prices on Paver Driveways! | Your 100% Satisfaction Guaranteed! 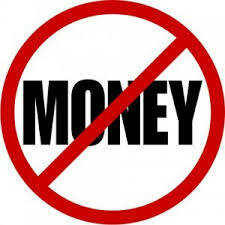 | No Money Down! | Beautiful Work Guaranteed! We have excellent referrals from happy customers. 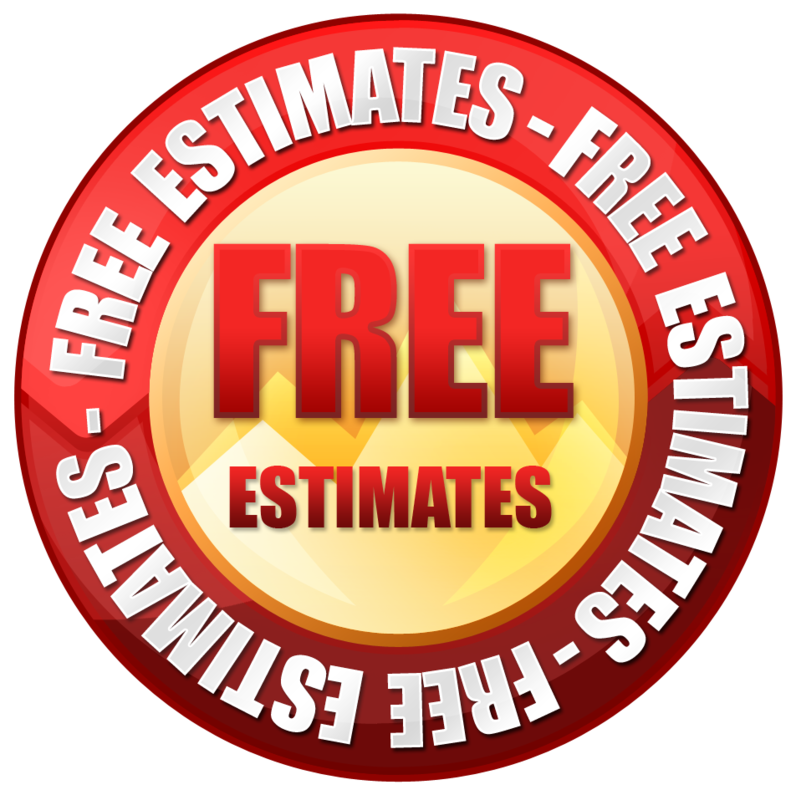 Free Estimates and consultations. 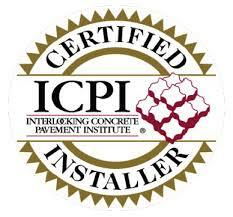 You’ll get expert paver driveway Installation by ICPI Certified Paver Installers! Remember! 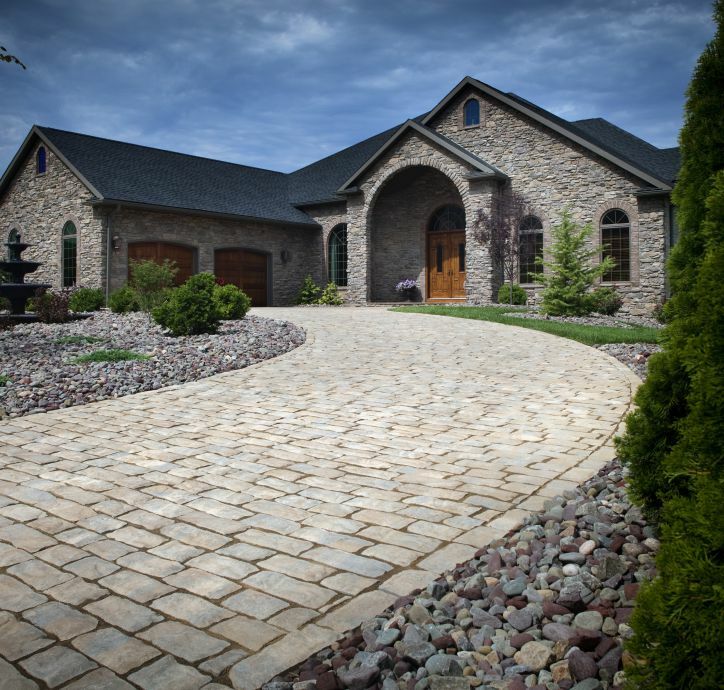 With Stone Creek Hardscapes, you never pay us a dime until your paver driveway is completed and you’re 100% satisfied. 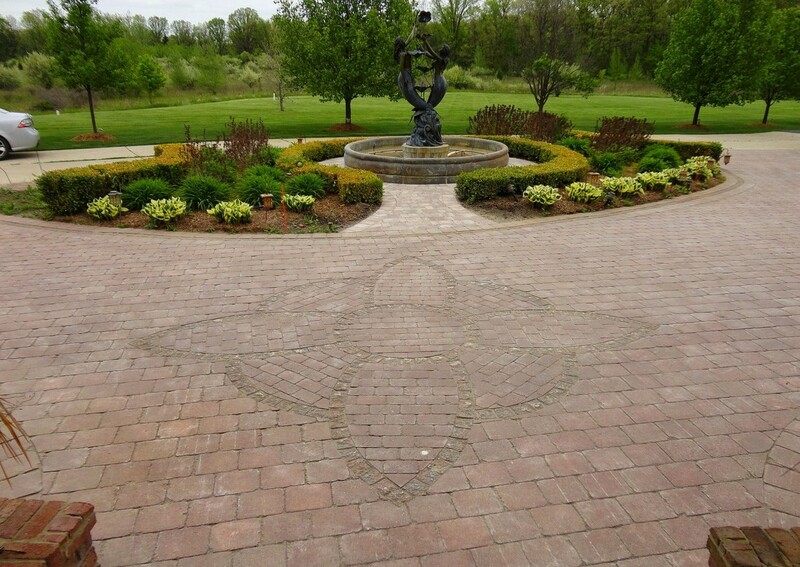 You can make your paver driveway one of a kind! You can mix colors shapes and textures. 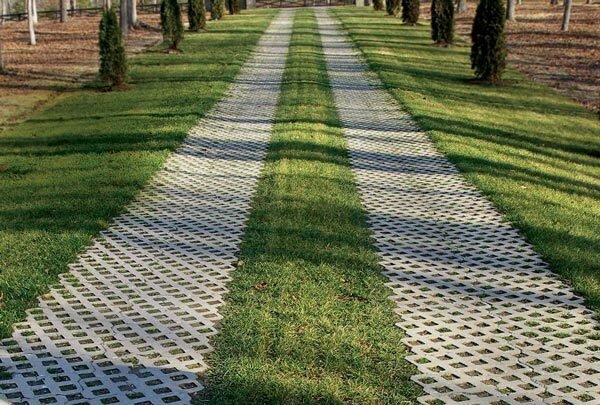 Pavers Beat Concrete Every time! 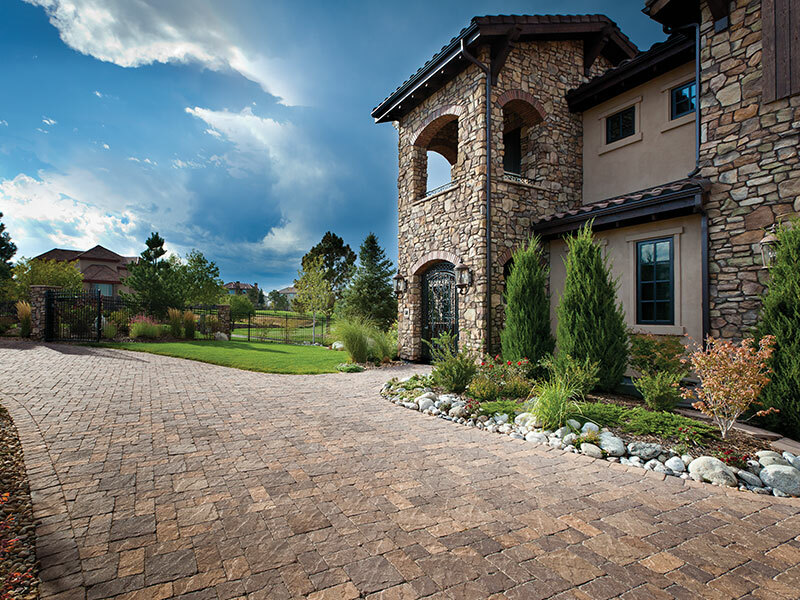 Driveway pavers will easily stand up to Denver's winter conditions. Paver joints are very uniform so snow removal is extremely easy. 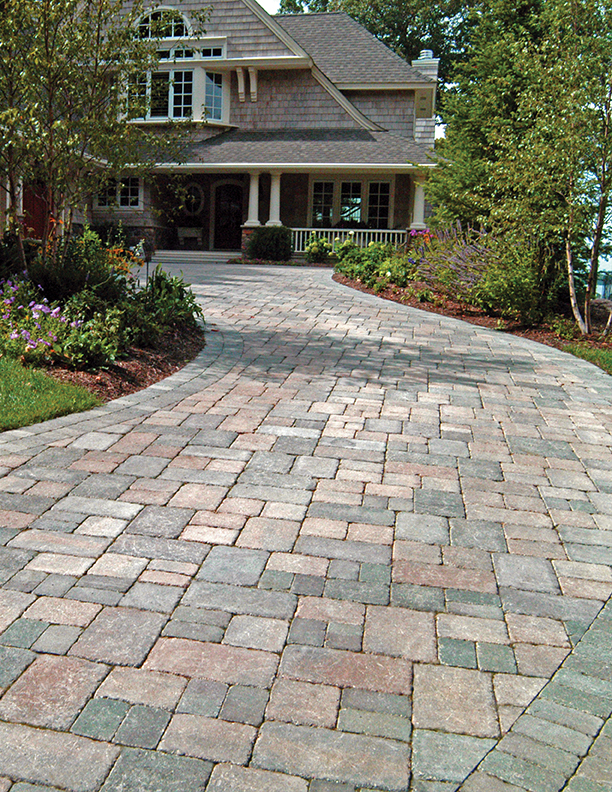 Pavers resist cracking chipping and buckling during the winter. 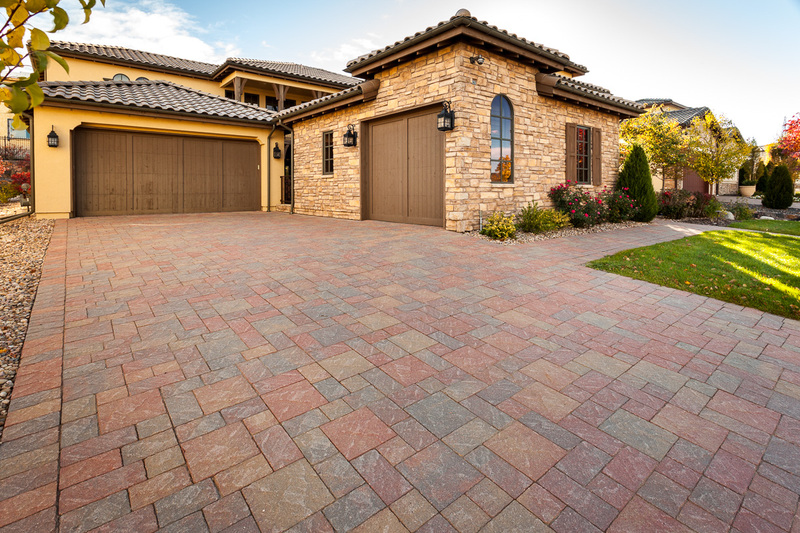 Paver Driveways won’t fade over time like stamped concrete. Pavers are easily repaired if ever moved by expansive soils. 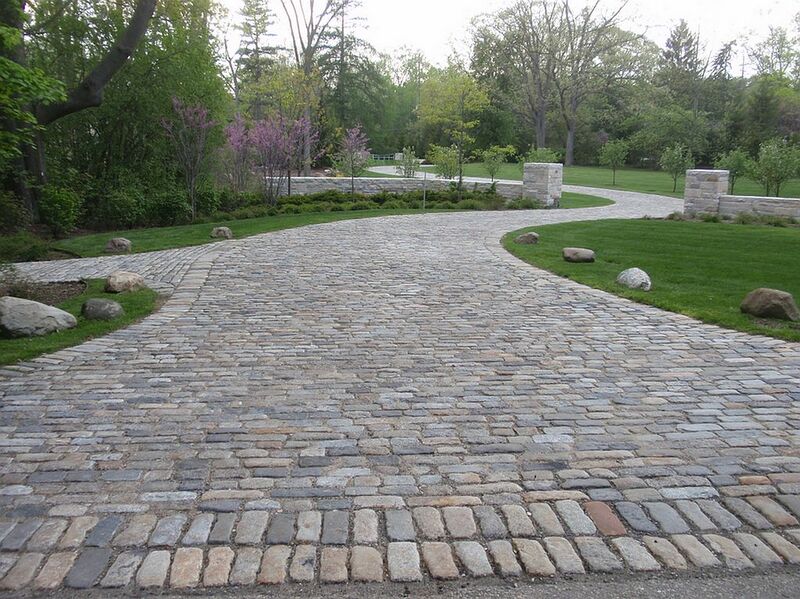 Pavers withstand 8,000 PSI to meet all industry standards. 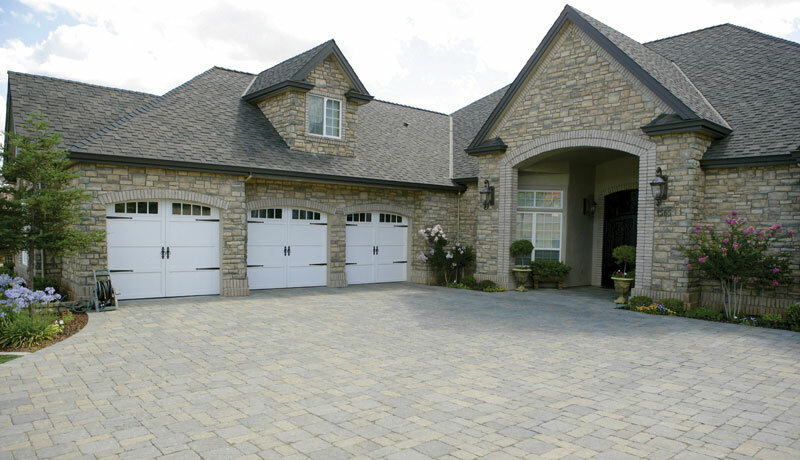 Paver driveways are over 4 times stronger than concrete. 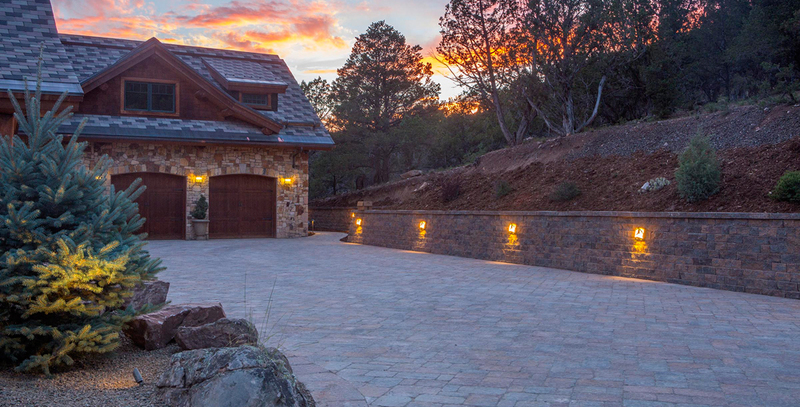 Stone Creek Hardscapes in Denver Co is the supplier for Pavestone Pavers, Borgert pavers and Belgard pavers. 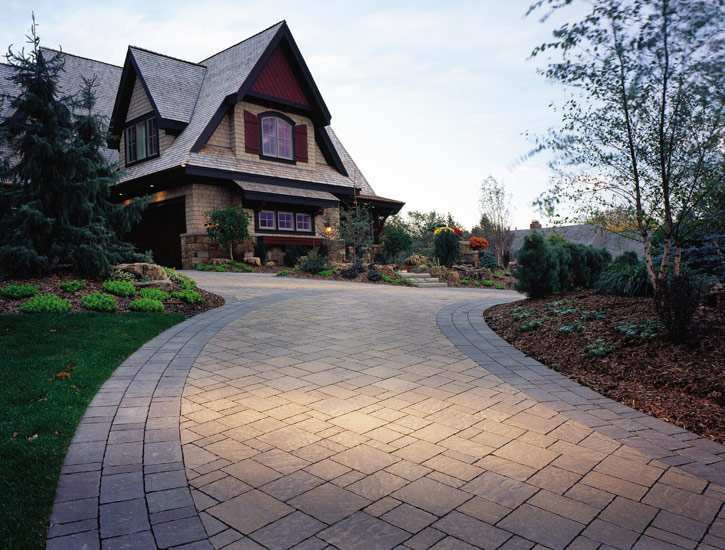 These paver manufactures allow you to choose from a large selection of pavers. Use your imagination! 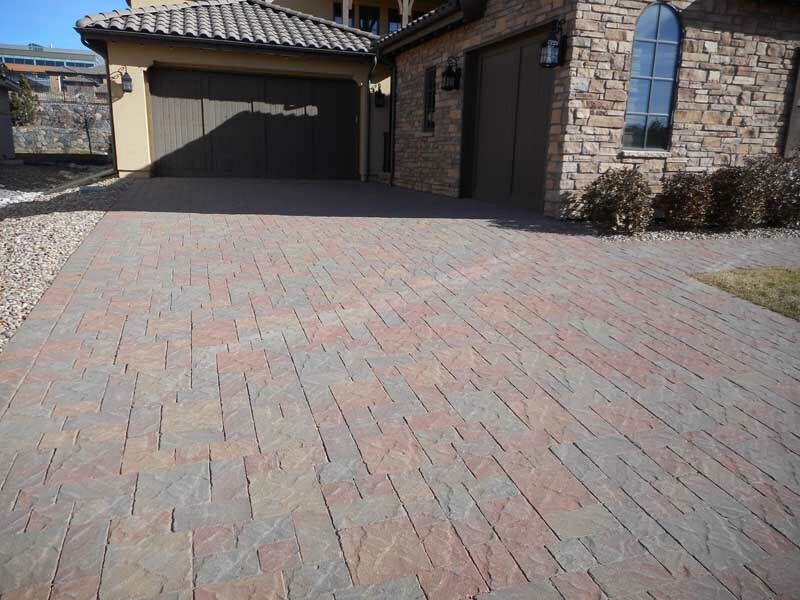 You can choose any color, texture or pattern for your beautiful paver driveway. 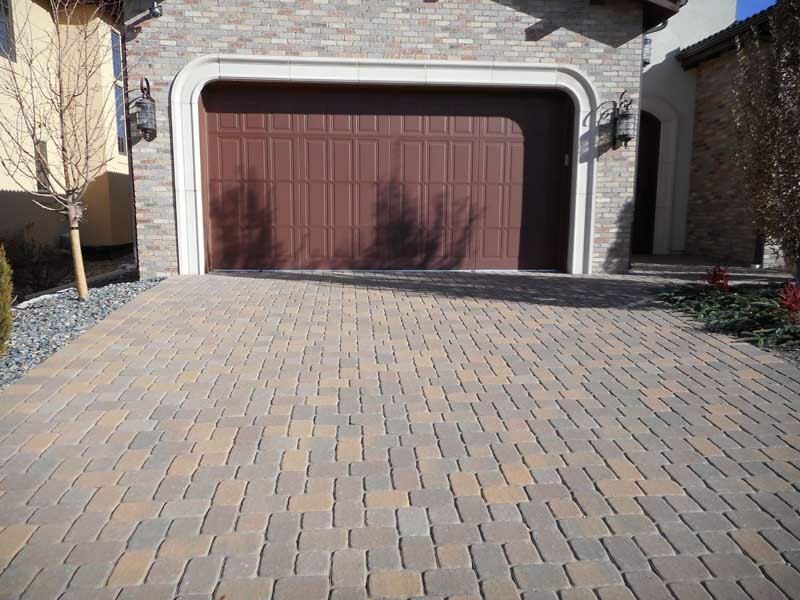 Make sure you a look at our Paver Driveways Gallery to see the paver patterns and colors available to you. 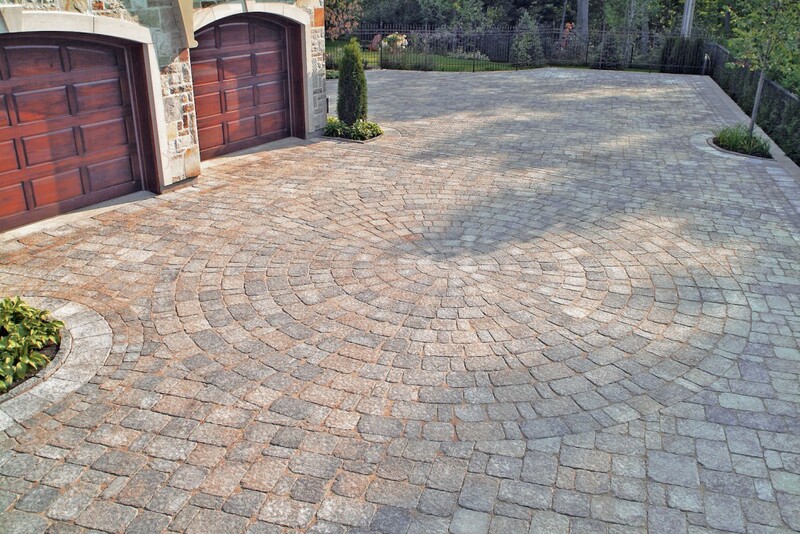 Driveway pavers are available in Old World pavers, Modern pavers, Cobblestone patterns and random stone patterns. 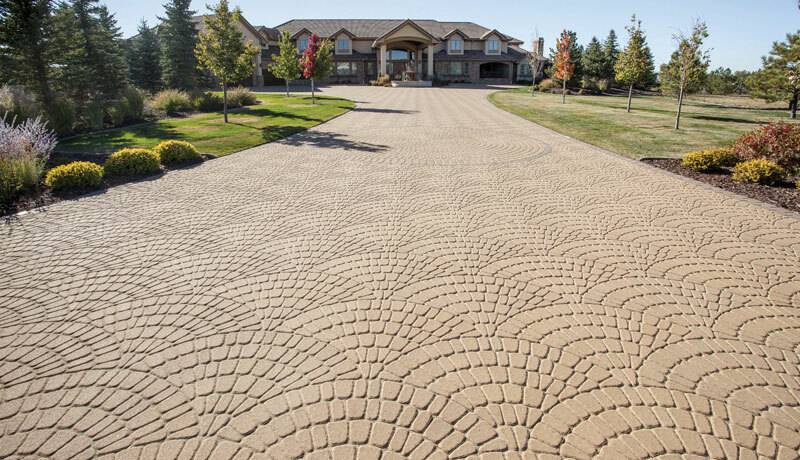 You can create a paver dreamscape for your homes driveway. 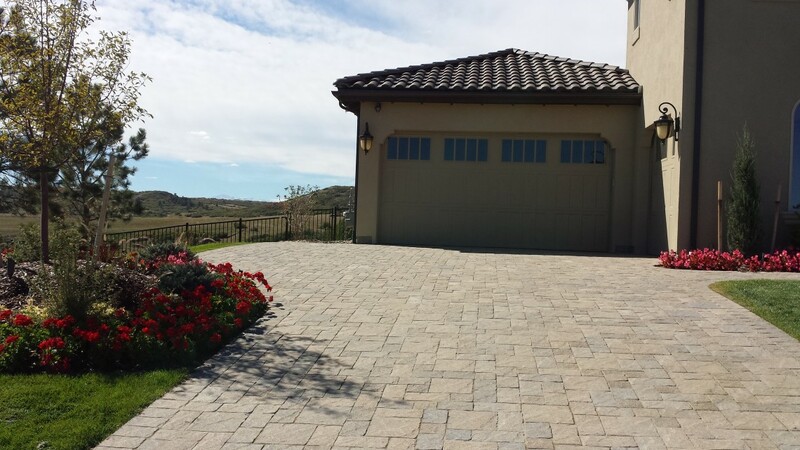 After 25 years of designing and building beautiful paver driveways, we have many beautiful paver driveway ideas to show you. 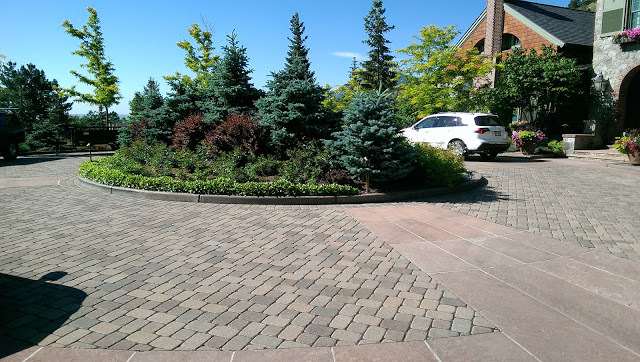 Driveway Pavers are environmentally friendly and meet EPA – NPDES requirements.